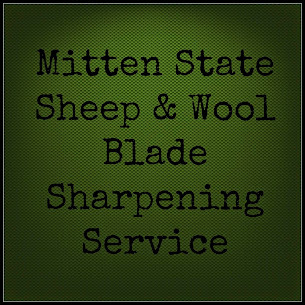 Mitten State Sheep & Wool : That Time of Year Already! October 26th- Started feeding hay. This is the first year we have had three Rams during breeding season. And the first time in quite a few years that we have had more than one breed of sheep. It makes for a little more work. Still trying to figure out how we are going to pull it off. We have to separate the ewe lambs from the rest of the flock since they are not getting bred this year. We need to separate the Tunis from the Border Leicester and the Romney. Then decide what Ram we will use with the different ewes. Not like last year, when we took our one Ram and put him in the pasture with all the ewes. DONE! The biggest challenge this year is finding a place to put everyone! That may have been easier if we had gotten around to putting up the interior fences in the pasture, but we never got that far down on our To Do List. I am happy that we DID manage to finish the corral and we have chutes and a sorting gate, which will come in handy when we are moving sheep around. It will be a busy week, and from the looks of it, the weather isn't planning on cooperating! BUT, even with all the work we have planned this week, the girls are excited and are already anticipating all of those lambs next spring. And I have to admit, I am too! It sounds like a lot of sorting is going on. I hope it all works out well for you, including the weather this week. I was wondering how you were going to do this myself. Sounds like fun! And you have plenty of help. We are just going into breeding season with more ewes and rams than we were expecting, so trying to get it all together. Hopefully next year we will be more prepared! That's a sweet face :-). I can't wait for lambs either!